YSF Reflector – to YSF2DMR bridge? Recently someone asked me on how to bridge the BM TG from a YSF Reflector. 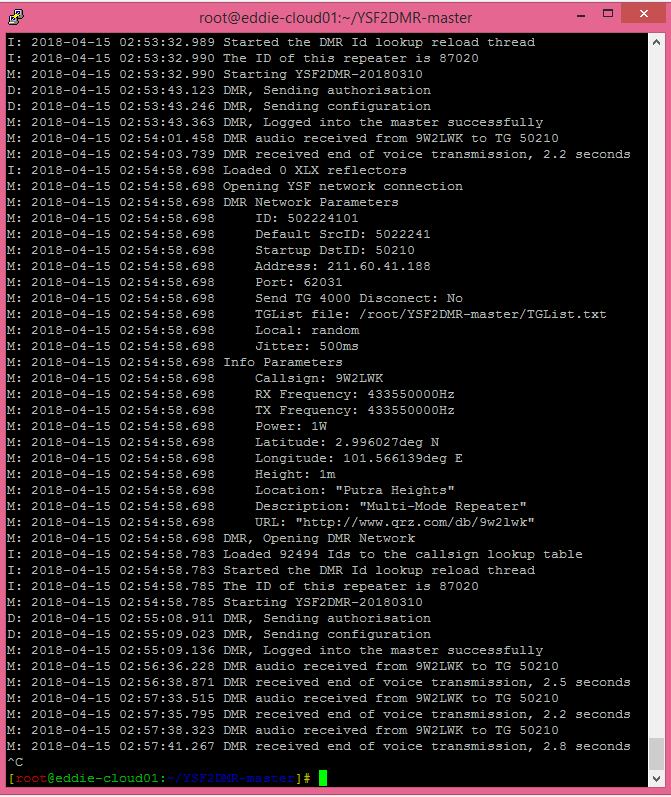 Previously you would need a BM operator to link up on Brandmeister level but since YSF2DMR is available from github, theoretically we can just use the existing MMDVM’s YSF2DMR module to plug into YSFReflector since both of them is listening to localhost UDP ports. by look at the log above, the YSF2DMR seems working successfully. admin on YSF Reflector – to YSF2DMR bridge? paul on YSF Reflector – to YSF2DMR bridge?